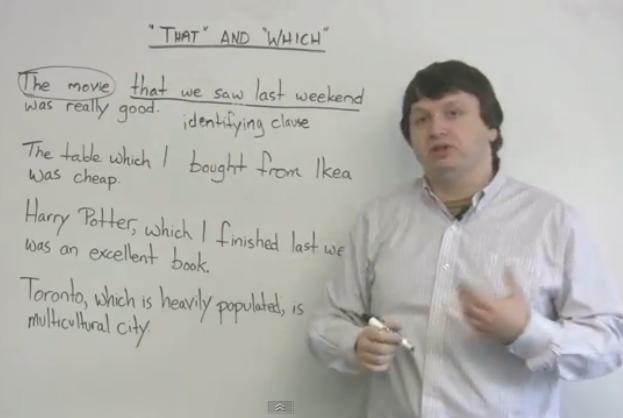 Learn when to use “that” and “which,” and listen to a review of the two types of relative clauses. Commas are important and can change the entire meaning of a sentence! An excellent lesson for students who already know about relative clauses.